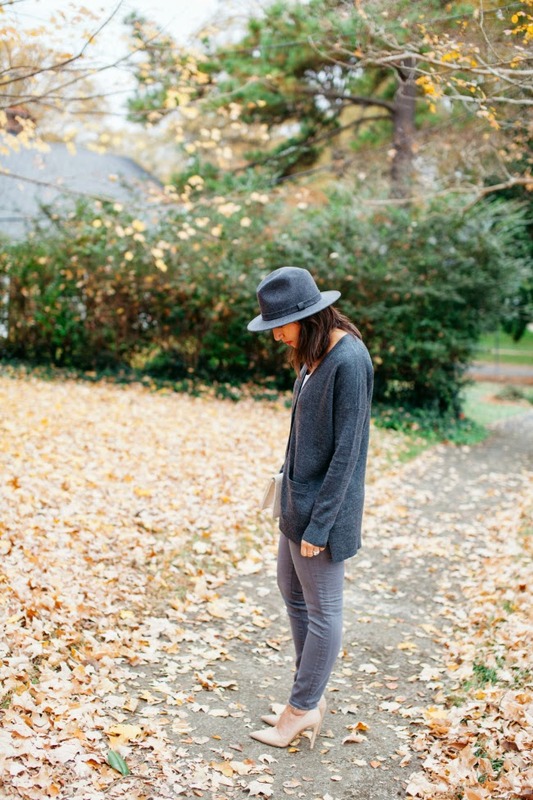 J.Crew Cardigan (sold out) (very similar) / J.Crew Toothpick Jean / Vince Heels (similar) / Bailey for J.Crew hat / Daphne clutch (sold out) also love this one on sale. 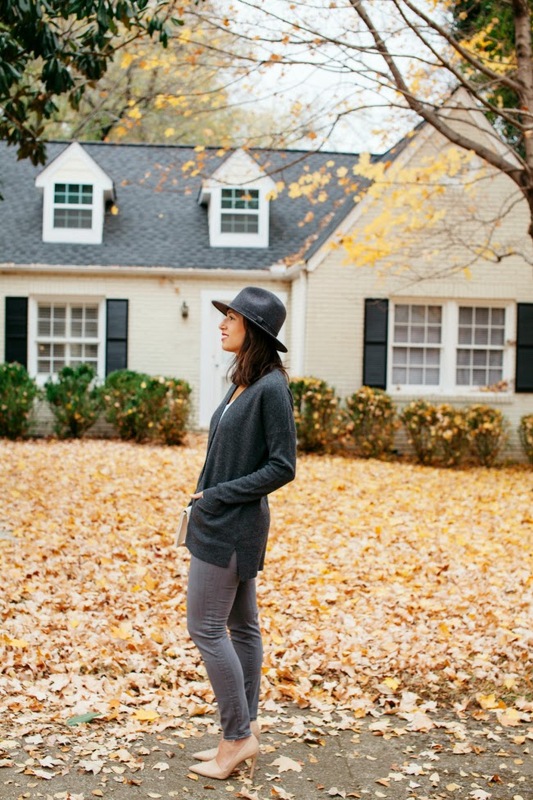 Is there anyone else besides me finding themselves wearing all grey this Fall? I love a good grey sweater, but I've taken it a step further and started wearing all grey after picking up these J.Crew Toothpick Jeans (the fit is awesome). They complete the all grey look and are just a shade lighter than most of my grey sweaters, which works perfectly. My favorite part about the all grey look is that it works great as a daytime look with sneaks or just as good with heels for somethin' a little more special than a trip to the grocery store. I also cannot complain about something comfortable that I can wear all day long. Hence, all day grey. I'm so tricky (not really). I like this look! and the leaves in the back ground are so pretty. Great pics, Becky! Love the all grey! And those heels... You know I love.